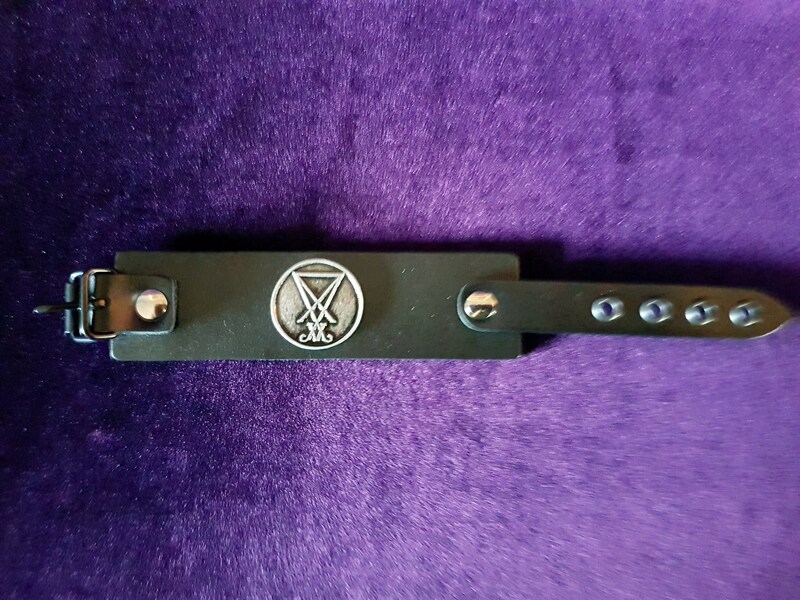 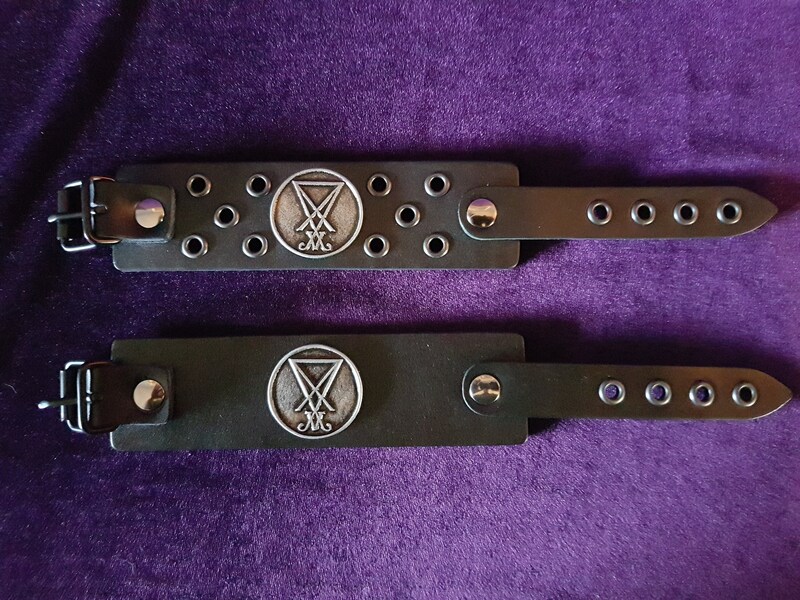 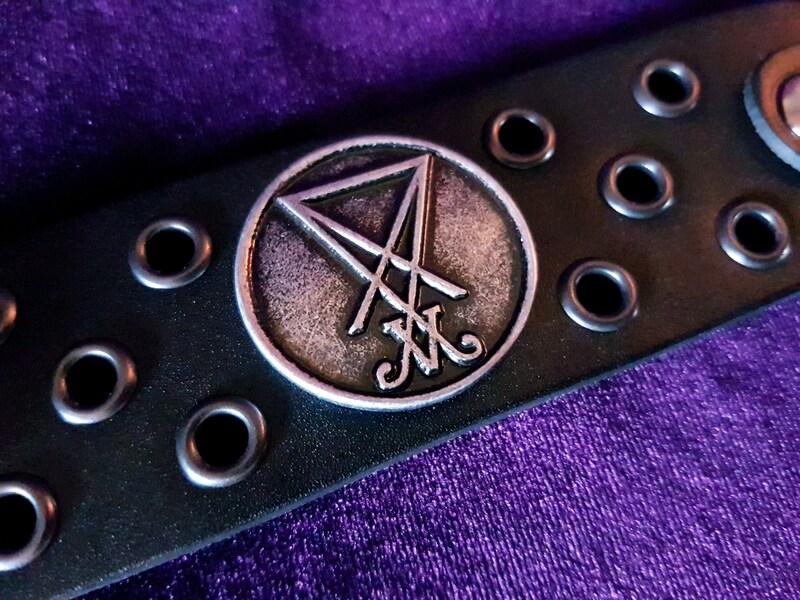 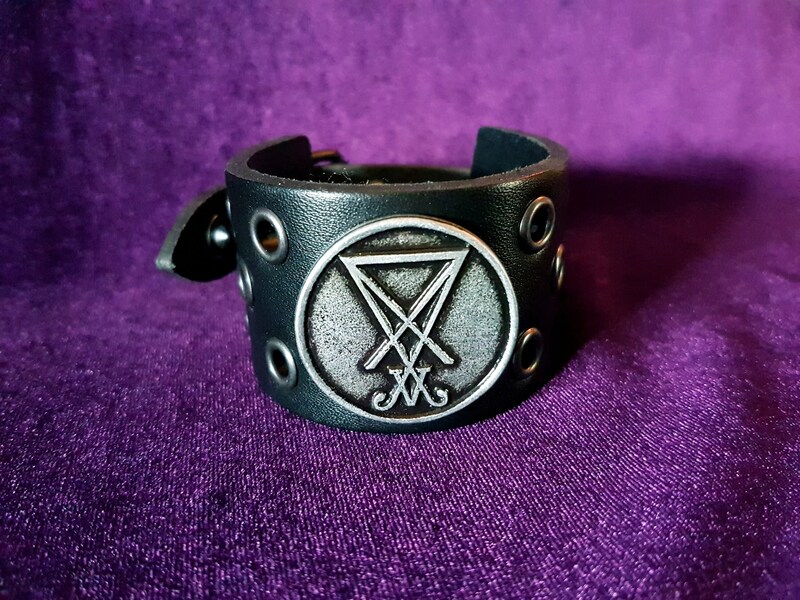 Leather Sigil of Lucifer Bracelet. 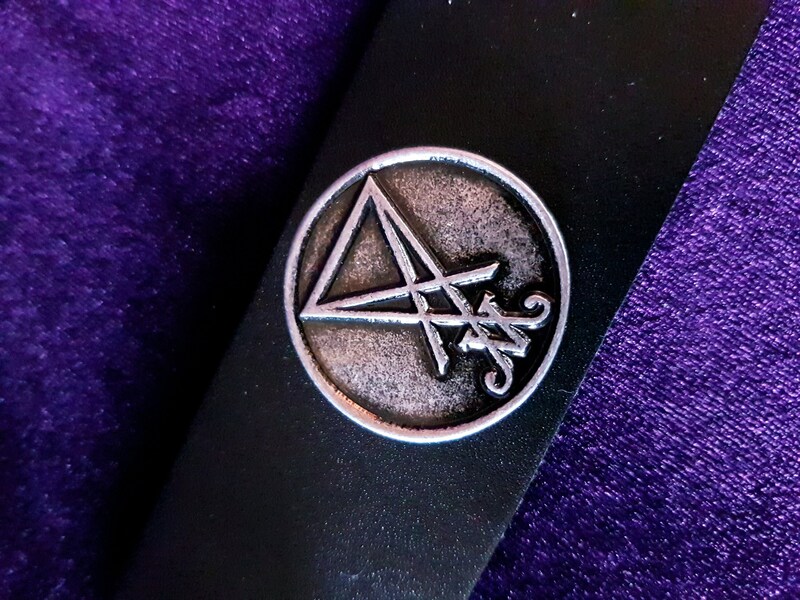 - High Quality Black Leather. 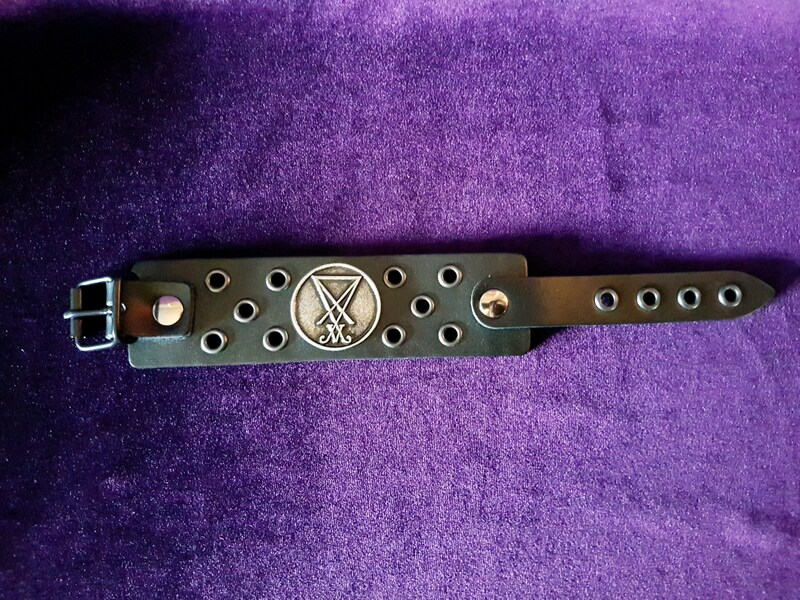 - 4cm wide | 25cm max lenght. 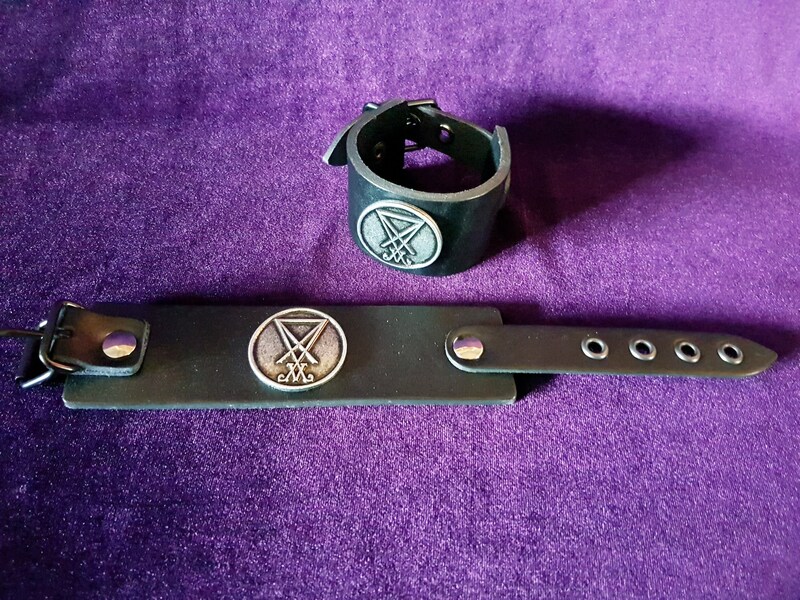 ( Adjustable). 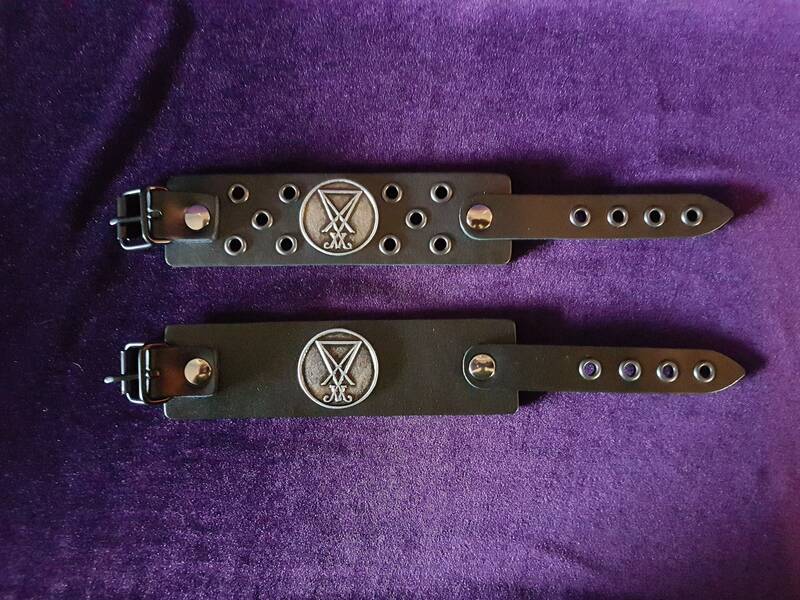 - Closes with buckle system.